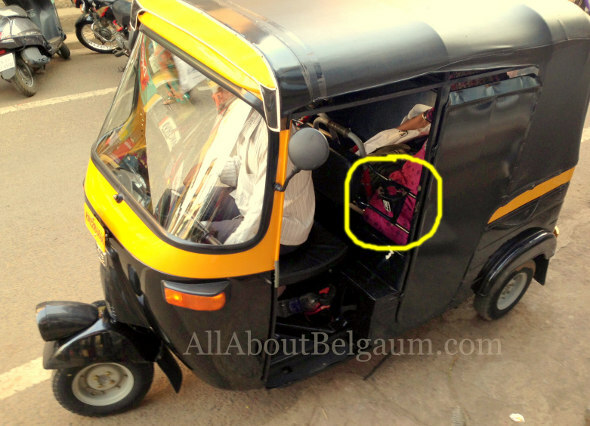 Citizen – Sir why Are Autos not charging according to meter? RTO – The Auto meters are in force in city. If any auto does not charge by meter then give complaint letter to both RTO and concerned Traffic P.S. mentioning the AUTO No. and we will take action against them. Now this was the conversation with the RTO, PRO today. We tried this on two different occasions and got the same answers. On the other hand the Auto drivers refused to charge as per the meter saying the meter system is not yet started, if you want to complain go and complain. With no news of even one auto charging by meter doesn’t it make sense for the RTO to impose fines on all the registered Autos said Sundar Latkan on the Facebook group related to auto fares on Belgaum. Rahul Walvekar also said that the response was similar. So what is next, if you to feel that you want to hear with your own ears the same Good news (only on paper) that Autos in Belgaum are charging by meter please call RTO Belgaum PRO on 0831-2465503. Everyone is requested to note down the Auto number and make a complaint to the RTO and Traffic police station. One can also mail the below mails ids with the grievances but we did not get any response.